The first flavors that hit my palate is a saucy flavor with a light salt. A chile pepper flavor comes in quickly, along with a light bit of spiciness. The chewing brings on the natural meat flavors, with touches of seasonings. For being marketed as "Jalapeno", it holds up well. I do pick up a chile pepper flavor that resembles something like roasted, or pan-fried jalapeno. There are also red chile pepper flakes here that perhaps contribute to that flavor. I don't, however, pick up much spiciness. The level of heat is rather mild for something that focuses on jalapeno peppers. I'd rate this on my heat scale as "mild medium" (level 2 out of 5). 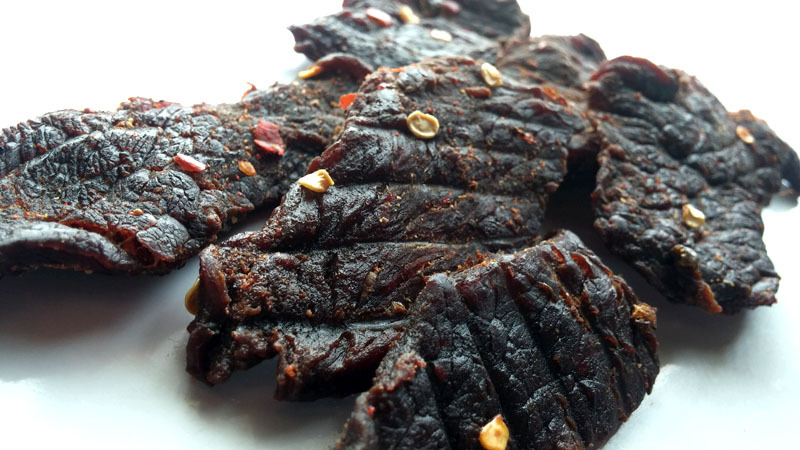 Otherwise, the primary taste profile is a natural meat flavor with a light saucy marinade and touches of garlic-onion seasoning. 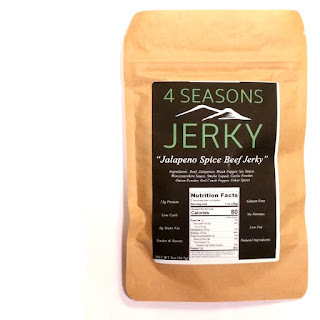 The jalapeno flavor is light with a roasted, or pan-fried character. The meat consistency is chewy, somewhat tough, but feels very much like a piece of steak cooked well done. The pieces feel slightly moist but chew dry. I don't see or feel any bits of fat or stringiness, these are very meaty slices. 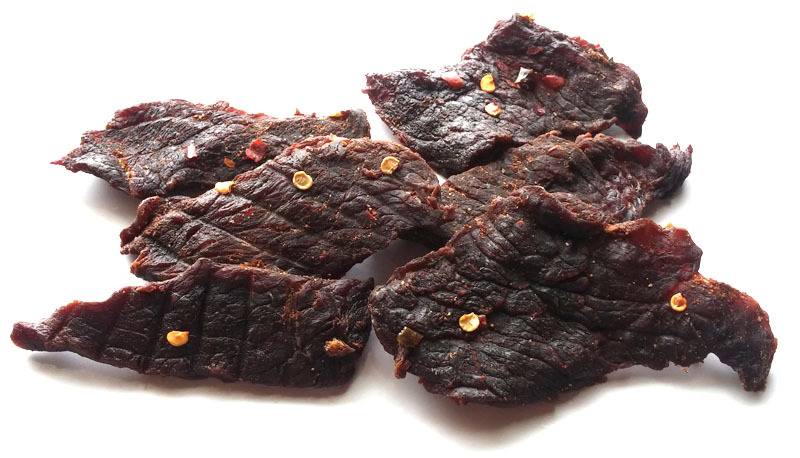 This Jalapeno Spice Beef Jerky from 4 Seasons seems like a great fit for folks who want the natural meat flavor and steak-like chewing texture, without going overboard on ingredients. There's a noticeable jalapeno flavor, with only a touch of heat, and a light saucy marinade. Otherwise, it's chewy bites of real manliness in a bag, with plenty of room for beer pairing options. Thanks Steve for taking the time to do these reviews. I'm sure you guys are getting swamped over there with samples this time of year. It's greatly appreciated the work and effort you guys put in. 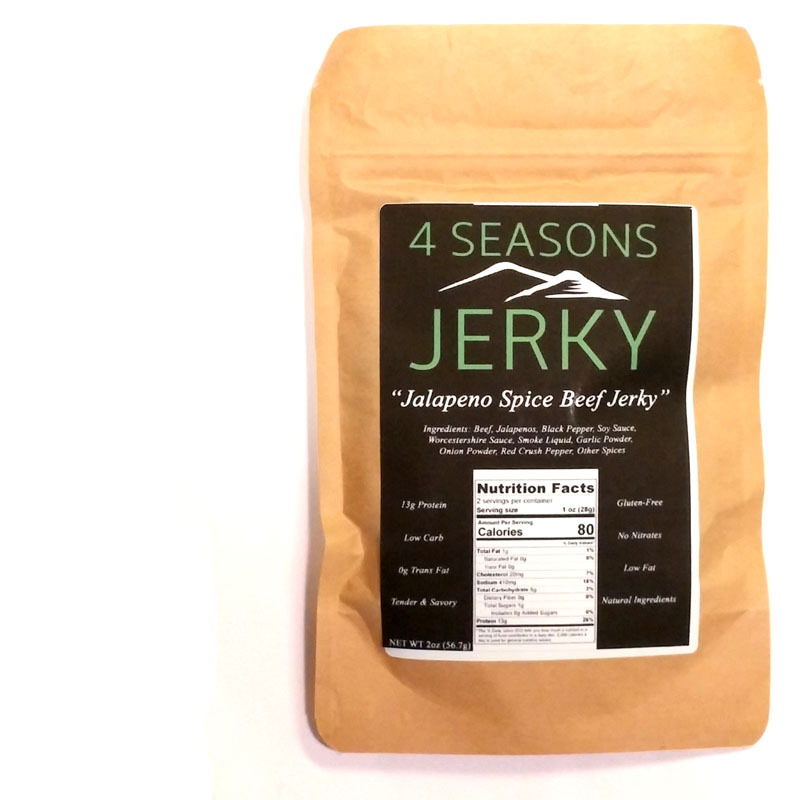 We have a sale going on across our entire site at www.4seasonsjerky.com! Please go check it out everyone! Discounts are available, as well as special promo codes!